A number of interesting archeological zones have been discovered around the Lake Chapala area. While they require a bit of sleuthing to find, they reveal interesting facts about the ancient peoples who populated the area. Rocks containing illustrations and engravings have been found in the area, leading archeologists to believe that in about the 16th century a ceremonial centre of the Nahuatl tribe existed. The rocks are located about 50 kilometres from Colima on the road that leads to the community of Telcruz,. The indigenous peoples from Cuzalapa kept a plan of their territory, painted beautifully on cloth and dated from 1531. This archeological zone is situated in the former hacienda of Tequesquite where they have found pottery and anthropomorfic figures which date from the year 100 – 150 AD and which which appear to be related to the culture and the tombs of the Chipacuro. This zone is north-west of San Juan De Los Lagos (just off the freeway going east from Guadalajara). The remains of what appears to have been a ceremonial centre and a rock fort have been found in the foothills of the Portezuelo hills at the eastern end of Lake Chapala. Its age is calculated to be 2,000 – 2,500 years old. In the area of Teocaltitlan 2 temples and and ball court developed by the Tecuexes Indians have been found. 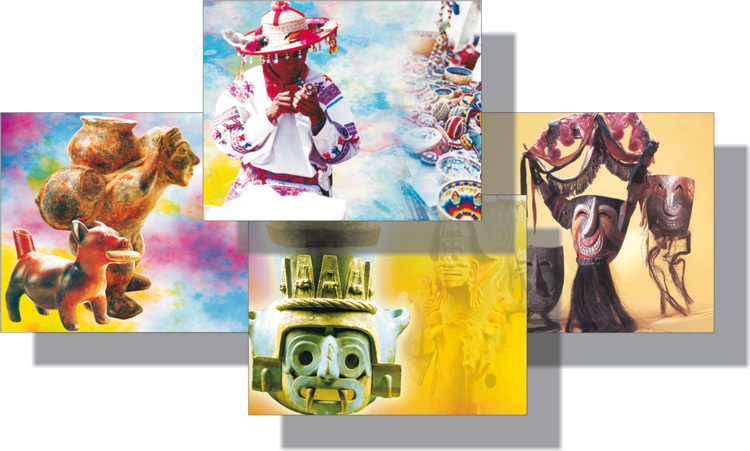 In the 6th century they were invaded by the Toltecas and in 1164 by the Mexicas who imposed their language and culture. A series of ancient pyramids, considered to be over 1000 years old, were identified on the then-outskirts of Guadalajara in 1954 by a team of archeologists. While small compared to other pyramids and temples near Mexico City and in the Yucatan, Iztepete was an interesting find because it confirmed the spread of pre-Columbian civilization beyond previously known borders. Although badly decayed and overgrown, the largest pyramid is estimated to have been 6-8 meters high. The ground area covered by it and at least 2 smaller pyramids/edifices is about 13.5 hectares. There are, in fact, very few larger pre-columbian edifices anywhere in northern or western Mexico. The development has been attributed to the Toltecs, but there is still debate over which tribe built the pyramids. One of the interesting finds in and around Iztepete was obsidian tools and ornaments. Obsidian is a volcanic rock, formed when hot lava spills into a lake or body of water and cools instantly. Cerro Colli, an active volcano at the time several miles to the west and visible from Iztepete, was undoubtedly the source of the obsidian. The stone breaks into thin pieces, often with sharp edges, which made it a prized discovery for ancient peoples. It is also naturally shiny and reflective, which gave it a second application as a decoration and crude mirror. Archaeologists believe that El Iztepete was both a ceremonial-pilgrimage center and commercial meeting ground. Workshops for fabricating obsidian ornaments, tools and weapons existed, probably populated by a class of tradesmen with slaves. The village was also a center for bartering obsidian. People probably gathered from around western Mexico both to pay homage to the gods and to obtain the prized obsidian. the latter being the largest. 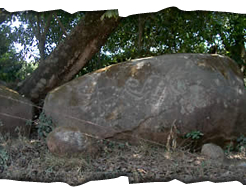 These zones contain large rocks with multiple engravings. A pre-Hispanic ceremonial centre named after the hill on which it is located. The excavations and investigations of this centre began in 1999 by a group of local and foreign archeologists. This centre comprises 10 ceremonial altars, 3 ball courts, 5 obsidian workshops and the third largest deposit of obsidian in the world. Los Guachimontones, located in the town of Teuchitlan, is 60 Km from Guadalajara. The Eagles is divided into three main sections: a ceremonial throne, an astronomical observatory, and a magic centre. Inside the the ceremonial centre one can find the foundations for three temples, two areas for worship, some ancient dwellings and a number of important petroglifs and illustrated rocks. The observatory that is to the south of the ceremonial centre is in the highest part of the region. It was used for the study of the stars and the measurement of time. Here 7 large rocks are arranged in such a way that the astronomical observations can be made and one can tell the time. In the last section, the magic centre is a rocky place full of petrous figures which give their unique beauty to the area. The whole area is about 1 kilometre square. One can find volcanic stones, arrow heads and other archeological objects. Very well researched and easy to read. Looking forward to visiting these discoveries. Thank you ! It’s the best time to make some plans for the future and it is time to be happy.I’ve read this post and if I could I desire to suggest you few interesting things or advice.Maybe you could write next articles referring to this article.I want to read even more things about it! An impressive share! I have just forwarded this onto a coworker who had been doing a little homework on this. And he actually bought me dinner simply because I found it for him… lol. So let me reword this…. Thanks for the meal!! But yeah, thanks for spending some time to talk about this subject here on your site. 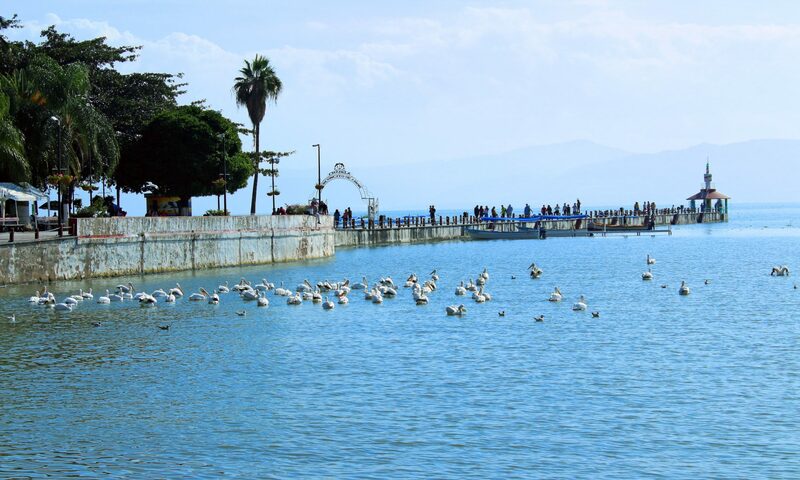 Previous PostPrevious Welcome to Lake Chapala!